History of Botswana: Where is Botswana? 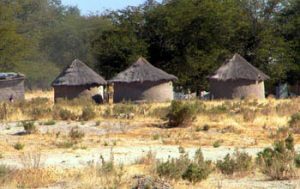 In 1500 AD, the Tswana people lived in what is now Botswana. That’s in the middle of the southern part of Africa. The Tswana were mostly millet farmers and cattle herders. They were descended from Bantu people who had married local San people. They spoke a Bantu language related to Xhosa. Some Tswana people paid tribute in salt and hunting dogs and cattle to the rulers of Great Zimbabwe to their east. They used seashells from Mozambique as money. What does Xhosa sound like? Botswana is about as big as France or Texas, but 33 times as many people live in France, and 13 times as many people live in Texas. Not very many people live in Botswana. That’s because a lot of Botswana is the Kalahari Desert, and a lot more of it is wetlands or salt flats. The rest is mostly dry grasslands, too dry for farming. In the 1600s, farmers in Botswana started to grow South American foods like corn, yuca root, and peanuts as well as millet. Tswana rulers started to fight over who would control trade with Mozambique. These rulers sold cattle, salt, ivory, and copper – and enslaved people – to Mozambique. Then they bought Indian and European cloth and steel tools, tobacco and sugar and rum. By 1750, Wyeyi people moved south into Botswana from Namibia, escaping from their enemies. Starting about 1770, slave traders came to Botswana from Mozambique and South Africa. The traders captured people and cattle and sold them to Portuguese and French slave traders. Neighbors like Shaka Zulu tried to get rich by capturing people in Botswana. They sold their prisoners to slave traders. People killed many of Botswana’s elephants for their ivory tusks, and sold the ivory, and they killed ostriches to sell their feathers. They used the money to buy European guns and Central Asian horses to fight their wars. About 1870, the first British Christian missionaries came and encouraged people in Botswana to become Christians. The missionaries helped the Tswana to build dams and dig wells for water. But they also discouraged a lot of traditional beliefs and ideas that had helped the Tswana. In the early 1880s, Kalahari people were moving into Botswana from the west. And Dutch people were moving in from the south. Three of the rulers of Botswana asked the British – the most powerful empire in the world – to defend them. So in 1885 some British army units came to Botswana. 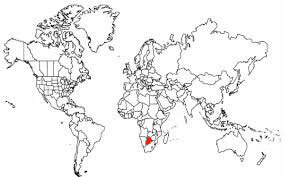 The southern part of Botswana became part of South Africa, but the northern part stayed British. Herero people from Namibia moved into Botswana anyway, trying to get away from Germans invading their country. 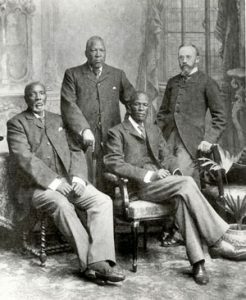 Thanks to the arguments of three Tswana kings who visited London in 1895, the British government mostly didn’t let British people (or Germans) settle in Botswana. Gradually Botswana worked towards becoming independent again. In 1920, they formed two government councils, one with African members and the other with European members. In 1934, the British government recognized the power of native rulers. Then in 1961, a new council started to build a legal system, and in 1966 Botswana became independent of Britain (soon after Mozambique started to fight for their independence). Botswana held its first democratic elections in 1966. 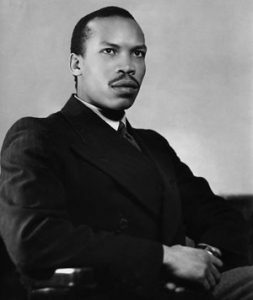 They elected Seretse Khama, a local ruler, as their first president. There have been many elections since then, but it’s always the same men, or the men they wanted to come next, who are elected. Right now, Botswana’s president is Seretse Khama’s son, Ian Khama. Today about four out of five people in Botswana are Tswana people. Most of the rest are San. More than two-thirds of the people in Botswana are Christians, and most people in Botswana can read and write. They buy most of their food – including a lot of tomatoes, potatoes, onions, and cabbage – from Namibia and South Africa. Starting in the 1980s, Botswana has sold diamonds to China. In exchange, China helps build roads, railways, hospitals, and houses. Eventually Botswana will run out of diamonds. Then they hope to sell copper, nickel, and coal (if anyone still wants coal then). Cite this page: Carr, K.E. 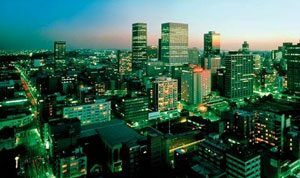 History of Botswana – African History. Quatr.us Study Guides, May 24, 2017. Web. April 19, 2019.